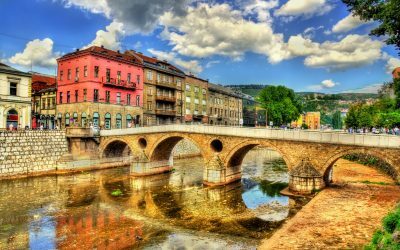 Bosnia is a country of over 3.5 million people, with around 600,000 people living in the capital city, Sarajevo. 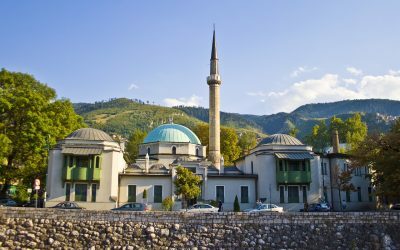 While Bosnia is a beautiful and welcoming country, it has had to work hard to shed its image as a country torn apart by war. Bosnia was hit hard by the impact of the Yugoslav Wars in the 1990s. 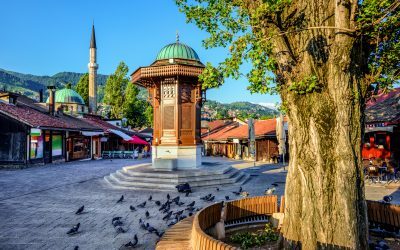 Sarajevo endured the longest-lasting siege of a capital city in modern history, surviving nearly 4 years of constant mortar fire and sniper attacks, which have still left a mark on the city. 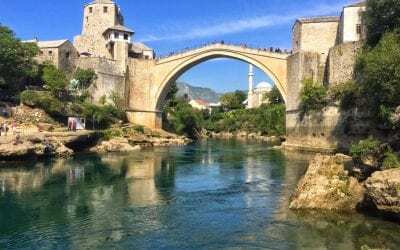 Mostar – now a popular day trip and one of the most photogenic places in all of the Balkans – was also hit hard, its historic bridge destroyed and 2,000 residents killed during its siege. The massacre in Srebrenica was one of the worst atrocities of this war, with over 7,000 Bosniaks killed in the span of a single month. Ever resilient, Bosnia has risen like a phoenix from its past, though the scars still show at times. 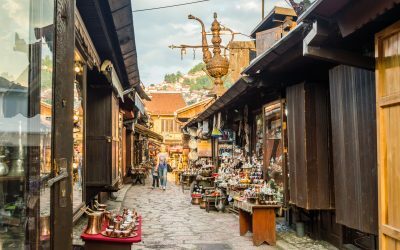 Sarajevo is a beautiful, thriving city full of creative and enterprising locals intent on rebuilding their city. Mostar is the country’s touristic gem, and close to fantastic day trips like Blagaj Monastery and the Kravice Waterfalls. 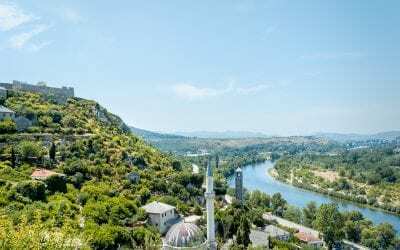 The Via Dinarica is a new endeavor connecting several Balkan countries with much of it stretching through Bosnia, connecting small villages to the potential of tourism. 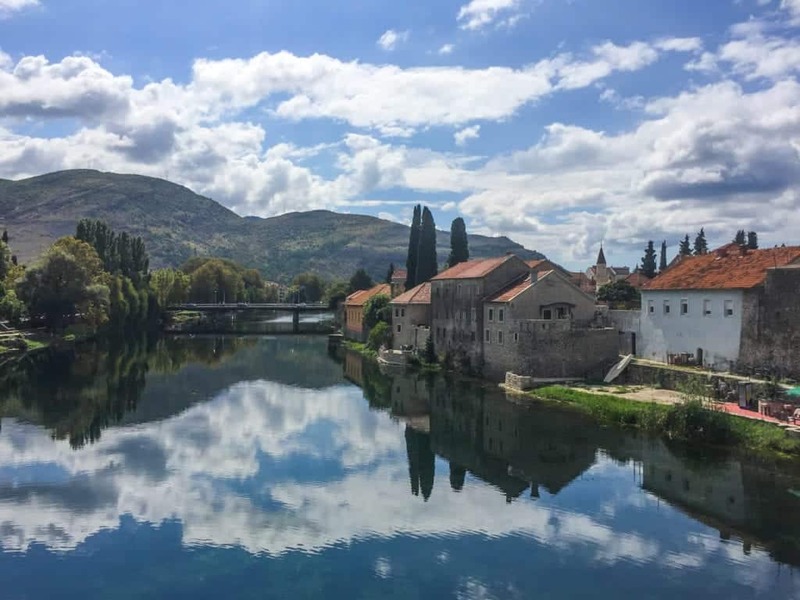 Other important towns and cities in Bosnia include Banja Luka (the heart of Republika Srpska), Počitelj, Konjic, and Trebinje, which are all off the beaten path and well worth discovering for your own.